Treating external parasites effectively isn't always a cut-and-dried prospect that so many of us would like it to be. When it's a matter of a common type of skin parasite like lice, fleas, ticks, etc., the task isn't too great a matter. 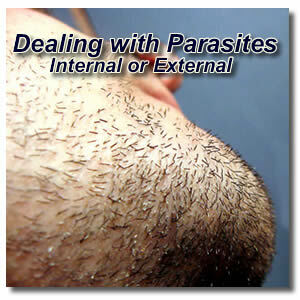 However, there are SO many other types of parasites that can attack the body from both the outside and the inside that the situation can become a little tricky. The first question you usually want answered is, "What kind of parasite am I dealing with?" That's a reasonable question, but finding the answer can become challenging. Of course, it IS helpful to know what exactly you're dealing with, but the answer isn't always necessary in order to achieve an effective treatment for the removal of parasites (external or internal). There are literally hundreds of different kinds of parasites that affect humans. Some species that were considered strictly "animal parasites" in the past, now seem to be attacking humans as well. Because of the lack of research and dedication to the education of primary physicians about most things parasite related, it can be almost impossible to get adequate help for a parasite infection from your local GP. Though this is understandable, as doctors simply can't know everything about everything, there is no excuse for the way many patients are being treated as delusional, crazy, or psychotic simply because they are suffering from a condition that the doctor knows nothing about. That's why so many people are taking their care and treatment into their own hands and searching for ways to get rid of external parasites through any means they can find. In their search for a "cure," a very important factor that most people don't seem to realize is that many external parasite issues are ultimately the end result of internal parasite infections. The obvious and well-known external parasites that we mentioned earlier (fleas, lice, bedbugs, etc), can be treated externally and removed from the body and the environment, solving the problem. Unfortunately, many people are developing unusual and unknown external parasites of their skin that look like hair, cause lesions, severe itching, biting sensations and more. Some even dub them as "alien parasites!" They try all the usual topical treatments and can't seem to find lasting relief. They may achieve some temporary results, but then the symptoms of external parasites return with a vengeance. I'm convinced that the issue is an internal one, and until the body is cleansed internally and provided with the nutritional resources to fight off a parasite infestation, there is not much possibility of a full or swift recovery. You may be able to get by with just the Herbal Fiberblend (HFB) and Leaf Greens, but the more support you can provide your body, the more capably the body will be able to eliminate your internal and external parasitic condition and restore your good health. I use Diaper rash ointment on my arms at night. The reason I do that is because during the night I seem to drool more than usual. If that infected drool gets on my arms it causes marks on my arms that look like birth marks. So, in order to keep them to a minimum the diaper rash ointment with zinc seems to do the trick. I've used the 40% zinc and the lesser strength that works just as well. Does anyone else have the same problem that I do? I put my clothes in a plastic bag to keep the parasites contained and the suckers eat through the bag? They have also eaten the leather where I sit. It starts out as what looks like streaks or lines in the leather and then it gradually tears. I am hoping that I am not imagining things. I have taken all the herbal treatment that lasted almost a month, it seems they are not as bad but definately have not completely gone. So I think I will go another month if for nothing else to ease my mind. I was wondering if anyone has had a problem with anemia with this, I believe it has caused me this problem. It really helps to get ideas from all of you, I have been wondering should I put a bomb out in my apartment because like alot of you I have to vacuum everday as well as dust and clean the bathroom constantly! I have also been desperately afraid of giving it to my grankids that I have even stopped them from staying with me like they used to, and I really hate that! So far none of my family has caught it. But again I thank you all for your information I usually check every few days to see if there is anything new, and should I hear of anything I promise to pass it along Thanks everyone!!! Granma Deb. So glad to hear that you are seeing some improvement. If you are using a good herbal treatment, keep it up. You didn't mention which you are using, but if it's Herbal Fiberblend, that will help to clean out your digestive tract and make it possible for your body to absorb more nutrition from the food and supplements that you take. It's not unusual that you would suffer from anemia if your immune system has been compromised by parasites. Try adding some green whole food supplements to your diet, something along the lines of Barley Life or Leaf Greens. Bombing the house is a personal choice, but from what others have said, it doesn't generally do much good. Several people have commented on having a good result with Cedarcide (cedar oil), which makes sense in a lot of ways. I know we used to always keep "special" things in a cedar chest to keep the "bugs" away. It always worked, so it's not surprising that cedar oil products are so effective against pests. Cedarcide is non-toxic, so you won't have to worry about danger to those lovely grandkids when they get to come back to visit. You complained about putting the cap on your head at night because the little critters attacked your face more. I had the same problem. The bites decreased by 85% with the cap on, but they migrated to my face more. I found a shampoo that helps to kill these guys. It's called Theraneem organix shampoo. I think it's the NEEM oil in it that they don't like. I wash with Neem oil soap. I use the neem lotion with aloe vera all over after my bath and they have nowhere to migrate. I am finally getting rid of the extra birthmarks that appeared. They are fading, my pores on my face are smaller and I don't notice the white heads that were on my face. I used to bend over and see something falling out of the corner of my eye. I don't know what that was, but I dont see anything falling anymore. It takes a good 2 weeks to start seeing a difference. Try it and let me know if it works for you too. This is amazing! I’ve been battling this itchy bottom (genital area) thing for about 3 years. Three doctors, no results. I’ve seen the hair things in the bathroom floor and just thought my dark haired husband just had very rigorous bath towel experiences so his body hair was falling out. This morning I was trying to remove what I thought was a splinter from my foot, got a magnifying glass to see the blackish thing under the skin and, to my amazement, found it was a tiny blackish hair like thing. It was sort of curled and opened up when I got it out. I don’t think I would have seen it if I had not gotten the magnifying glass to see the thing while still under the skin. It was almost 1/8” in. I started “googling” to find a tiny worm, like thing and found this site. OH MY! Now I’m on the way to the bathroom to investigate the floor. WHAT DO YOU THINK? Those are the most common causes for this condition, and if you've been battling it for 3 years, you've probably got a pretty good case of number two and/or three. Whether the external parasite worm-like thing you're seeing in your foot is related or not, you most definitely need to consider dealing with the internal issue. 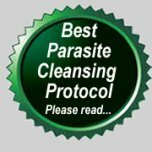 You need a complete digestive cleanse to help your body remove parasites and get any fungal overgrowth back under control. 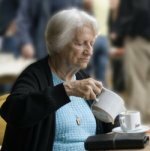 You may be able to manage it by simply doing a good herbal cleanse and taking some probiotics and other immune boosting supplements, but depending on far your condition has progressed, you may have to be pretty strict with your diet for a few months to get it completely under control again. Apart from that, it is not good for your overall health to allow parasites or fungus to get out of control in your body. It weakens your immune system and can lead to so many other health concerns. 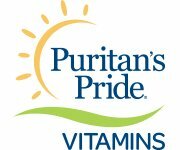 Take a look at the candida diet suggestions as well as the supplements recommended for a candida cure. Since you've been dealing with this for so long, I would suggest a minimum three months on the Herbal Fiberblend and the Florafood. The other two will be very helpful if you can afford to continue with them also, but even if you can only afford to use them for the first month, you'll be giving yourself that much more of a head start in eliminating your problem and putting your immune system back in fighting form. Hope to hear if/when you've taken action and got yourself all sorted out again. I'm finally well and alert enough to sit with my computer. I HAVE A DOCTOR WHO SPECIALIZES AND IS IN MY OWN SAN DIEGO COUNTY...YEAH!!!! Someone saw my 'Morgellons is killing me' post on Yahoo Answers. I'll report after my first appointment March 1; I do know treatment is up to a year of antibiotics given intravenously -- but we'd do anything, right? THIS MAY BE A LYME-DISEASE RELATED THING. I KNOW OF AND SAW WHAT CRITTER IS MOST RESPONSIBLE AND IT'S TOO SMALL TO SEE WITHOUT MAGNIFICATION. MOST OF WHAT YOU SEE IS 'HOME MADE', IS NOT REAL, REALLY. YEP, REAL INSECTS ARE 'MINING' YOUR TISSUE AND HAIR TO MAKE FAKE INSECTS. These get the littler guys from place to place, as do black dots and white, yes, FLYING, orbs of some sort which hold 6-8 larger wormies or worm-carriers (?). Those are what you see in your food and food packages; strange that some can get in but not out! Some separate the oils from all else, some carve symbols, and some try to make a specifically shaped larger worm. THE HAIR-WORMS ARE NOT REAL; THEY DON'T EXACTLY DIE...THEY TURN INTO STICKS! THE FIBERS COME FROM THAT/A LITTLE WORMY THING THAT LIVES INSIDE HAIR SHAFTS AND THE LARGER, FAKE WORMY-THINGS. Spritz the top or back of your head with an insect repellent and see if yours shoot some of the white fiber in defense. I KNOW WHAT THE BEETLES ARE DOING. YOU MAY NOT HAVE THE ORANGY-WAXY THINGS; YOU MAY HAVE SOMETHING ELSE THEY (BEETLES) FOUND TO MAKE STUFF WITH, INCLUDING INTERNAL 'WORMS'. MINE WAS A 5" x 12" x 3" CHUNK OF MY FOAM MATTRESS (THE ORANGY-WAXY THINGS); they enter from the backside...gross. I learned a little late it wasn't a mouse and think I feel them in my new, 13", Twin XL mattress (hard to find, but needed for my electric bed; of course I'm a cheap, shopper-sleuth & paid Overstock less than $400 but fear my hubby will crack up - no pun intended - if it's ruined since we don't have that now). I STOOD UP TO MY PRIMARY CARE DOC AND MADE HIM WORK WITH ME!! Help me share. I think I know who we need to get on our side to get action, too. Thanks for your supportive comments. Coincidences are rare; but if you have Morgellons and the name 'Joy' and a granddaughter in CA (initials MRB) mean something to you, this would be one for the record-books! Any chance? this is a type of rove beetle that in its larvae form it is parasitic and it is a black really thin hairlike worm that can invade homes and your bodies and are very difficult to get rid of. for some reason when they are on the outside of your body or in your hair they just stay those parasitic worms forever but some of them that may burrow in your skin will actually pop out a full grown beetle. It seems rare for them to do this but it can and has happened. I have seen this happen on my son. I talked to a bug guy at my university about this and even he was shocked because this is unheard of. This is not the typical behavior of this beetle in the wild. I don't know if this is the same thing all of you are experiencing but it may be, it is a lot more common then many people know. lots of people have them and never know it. I have tested this theory by running my wet hands through random peoples hair and finding these parasires attached to my hand and these people had know idea. Nothing seems to kill them but also they don't really pose any real threat to you besides being gross. That this page has ran for going on three years, and feel like everyone else-validation. I'm not crazy. We thought we had pin worms BUT NEVER SAW ANYTHING. possible, yes, but add in hair that moves on its own, and jolts you if you touch it, and EUREKA! Its just been in the last three weeks or so I've been noticing tiny little black hairs on the q tip (crazy itch in my ear) on a Kleenex, toilet paper, EVERYTHING. sometimes its a bunch of tiny little black hairs. Usually, its one. I thought I found a dog hair in my underwear about three weeks ago. I was staring at it, and saw it swaying, and really thought I needed more sleep. I started freaking out a bit so I picked it up in both hands, to like stretch it out, and it shocked me. Jolted me. SOMETHING. I screamed and dropped it, and told no one. I have a white dog, a black dog, and really long hair. So, i just thought i was nuts. Today, I've gotten very itchy. Its been a bad bad day. First time since this started -six months ago- that I felt bites on my head. All my problems have been all day crawling in my booty and lower parts. I mean, to the point of insane asylum. But today. Yikes. I thought back to the shocking dog hair, and immediately thought of Medusa (I see I'm not the only one, and new when I read that, that this is real) so I picked up two hairs off my seat. Clearly mine. Looked, and yep. Moving. Straightened it out and UGH, that feeling! I saved them in an envelope. But, there s not a dr in this country that's going to believe me. I couldn't even get the doctor to believe in drug resistant pin worms. Know what else I thought when I realized I wasn't crazy? This is how the zombies start. They are taking over my body. Making my hair move, but its MY HAIR! I'm scared, but so glad I found this site, because, I wouldn't have ever told anyone. I havent been on the site lately,but glad I checked. I found out something else to try by you! The Theraneem organic shampoo!! So far everything Ive tried may make them less active for a while but they always return and they have today with a vengeance!! Im so sick of the worms, the beetle, and the little white fuzz balls all over my house!! And the little beetles are even in my car!! I have bombed the house, car and me and really it didnt faze them, very discouraging! I cant talk to anyone about this but you, because I tried talking to my niece,she and I are close but that didnt work out very well so I just keep it to myself. I had to write my primary doctor a letter to try to explain to her what we are dealing with, never enough time in the Dr.s office, and she is sending me to a specialist on parasites in Oklahoma City, I go April 11th. So if I find out anything I will gladly let u know and please everyone keep on sharing, it really helps me alot physically and emotionally!! Go back and read page 1, page 2, page 3, page 4, page 5, page 6, or page 7 of the previous comments about external parasites or continue on to the next page.